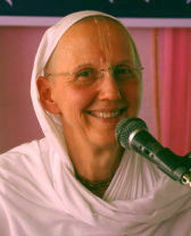 Perhaps some of you may have heard of Her Grace Devaki Devi Dasi who has been a long standing ISKCON devotee. She preaches in Ukraine and Bangladesh and is from Germany. She offers many nice courses which help prepare a person to enter Grihasta Ashram in the right mood and with the proper expectations. The courses are for both men and women. Please visit this website and check out the recordings. I can assure you that you will find the material very interesting and sastric. All the very best in your search for the ideal devotee of Krishna who has been ordained for you.